You Are Here:→WRITING→STATE MAGAZINE is out! 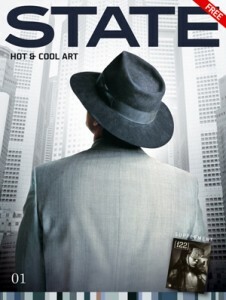 I’ve just started a new project – editing a new art magazine – STATE! It’s distributed across the UK from APRIL 2011 and together with F22 (focused on photography), it will cover current exciting projects, artists and ideas.